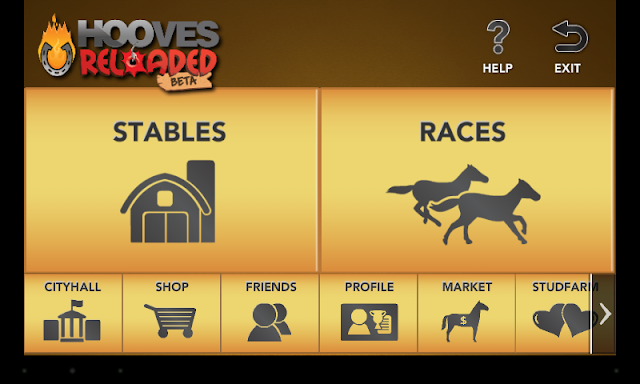 Join thousands of mighty horses in an online world of hooves, brushes, and limitless horse racing. Explore good, fast, heavy and dead tracks. Bet on your favourites; battle in epic races. The ultimate trophies await. Enter Hooves Reloaded. This is how it could have been, if Hooves Reloaded was made by a different company. But nonetheless Rubber Duck Software did a great job to bring an addictive horse racing game to your Android. 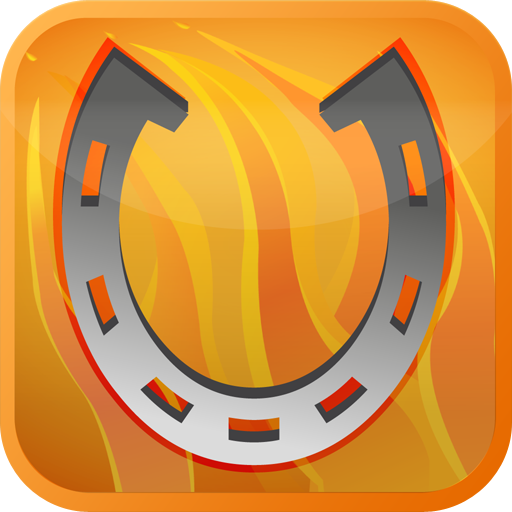 Hooves Reloaded is based on Rubber Duck Software previous flash game Hooves on Fire. Both games are about everything horse racing. In fact everything is about horses, because the game setting is actually a world populated only by horses. The racing is something like our athletic events. Even the shopkeeper is a horse. And when you are going to breed a horse? Ooh la la, this game is certainly racy! You can breed or buy a new horse, train it, enlist it in races. 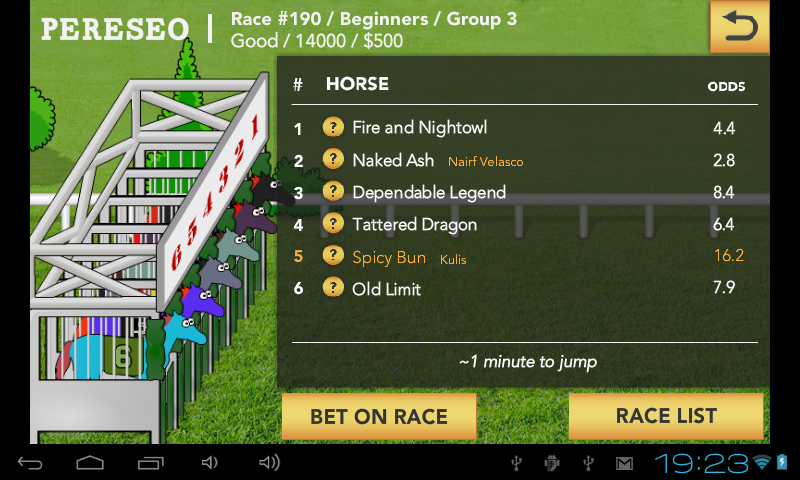 You can bet on horses in each race. There’s plenty of upgrades and equipment you can buy for your racing horses and even a science lab with some cutting-edge upgrades like surgeries. The interface is very clean and well designed. The two black bars you see on the screenshots on the left and right are a typical problem when dealing with all those resolutions of Android devices, so I will pretend they are not there. Everything is easily accessible and it takes just a few taps to get from one screen to another. Two most important options, stables and races, are always accessible. You will be spending some time with your horses in the stables. Feeding, brushing and training them. Or simply have a nice talk with your stallions and mares. Yup, that's another thing - the lingo. You will have to pick it up quickly. If you are a fan of horse racing or horses in general, it'll be a breeze for you. But for me, I certainly did not know what kind of a track is a dead track and I had no idea what is betting on place or show. In the stables you can also equip your horses with specialized horse shoes, give them treats and also let them free when they are getting old. Or geld your stallions (no comment). The most entertaining screen is of course the Races. 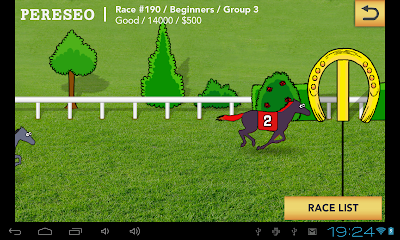 Hooves Reloaded captured the thrill of (virtual) horse racing very well. I was never a fan, but I got hooked! Especially when my horses were racing! And this is how a typical race looks like. You enlist your horse in a race and then wait for the start. You can bet on any horse in the race, even your own. You don't do anything during the race itself. Just watch. The race visuals could certainly use some improvement, but overal it's quite functional and it doesn't matter that much. You can see in this race, Spicy Bun did not have really a chance. 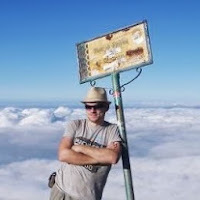 ...for about the first 1000 meters. 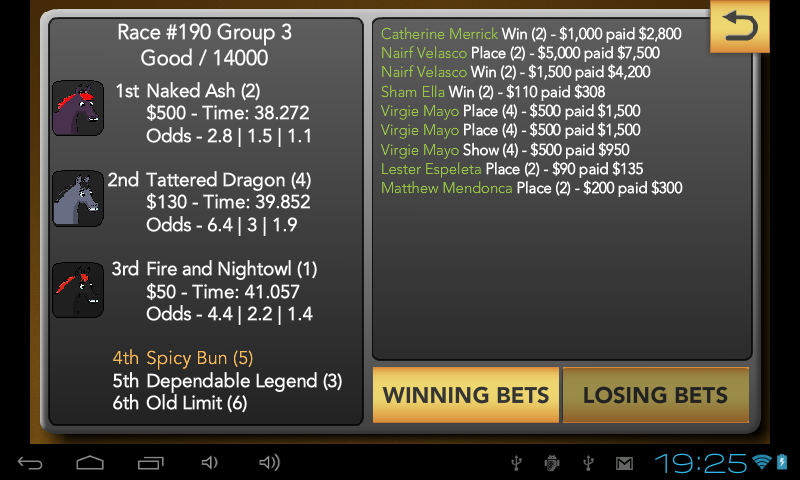 But to be fair, my horses won a good amount of other races. It all depends on the track, how you train them and how well you equip them for the race. Sometimes they even surprise you! By scoring in races, you earn more money, buy better equipment, train more over time and win more races in the end. Hooves Reloaded is a social network game. 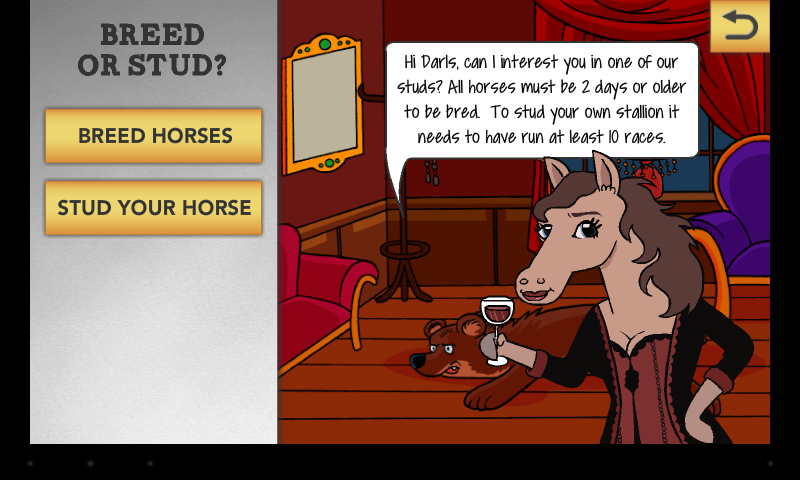 Other players can help you with your horses and you can even trade your trained mares and stallions, or offer them for breeding. And of course other players can join the same races as you! 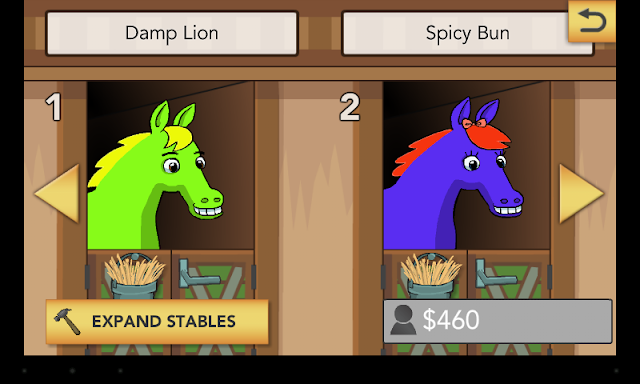 You can buy tokens or horse dollars for real money to make your life easier. This of course brings certain imbalance to the game, but the developers have to make money too. 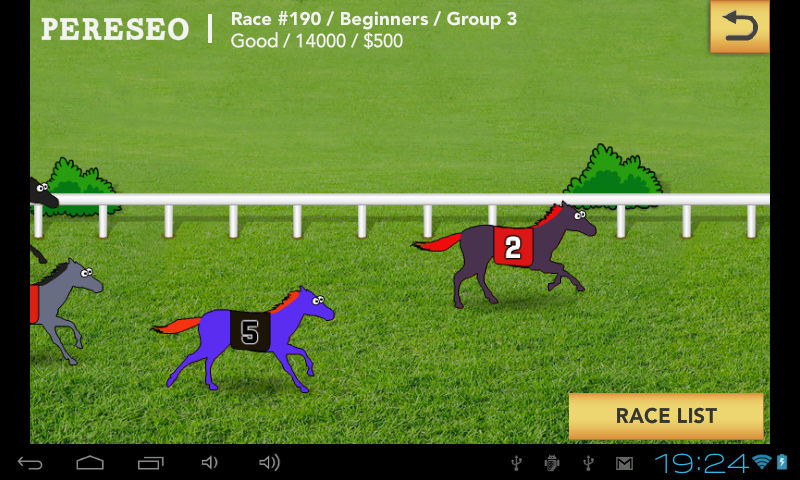 And you can always choose not to and simply enjoy the thrills of virtual horseracing for free. 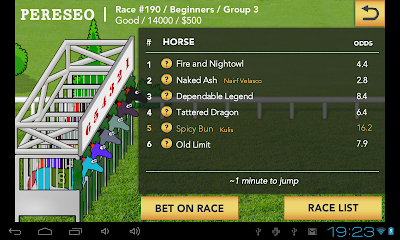 Hooves Reloaded is very addictive multiplayer virtual horse racing game in a funny setting. 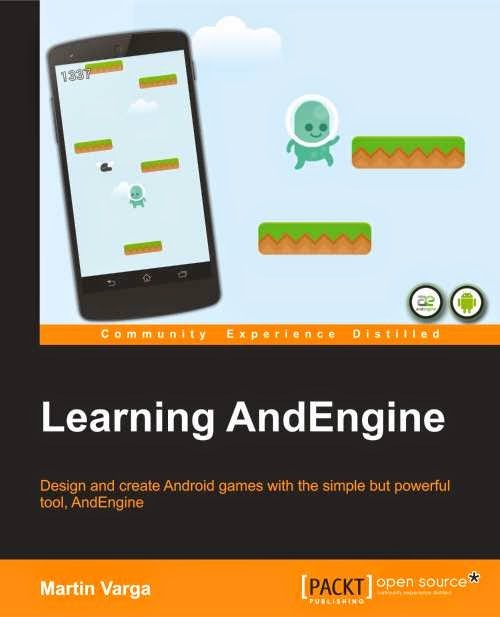 It's free to play with in-app purchases for those who want to get better quickly. If you want to try how it feels to own a race horse give it a try. 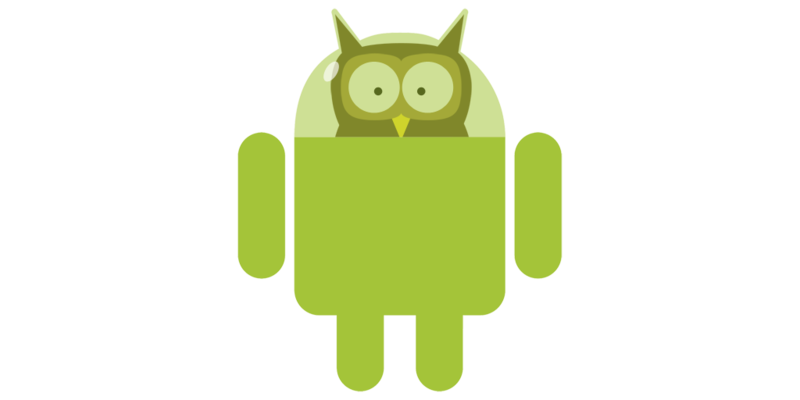 Android version is available in Google Play store.